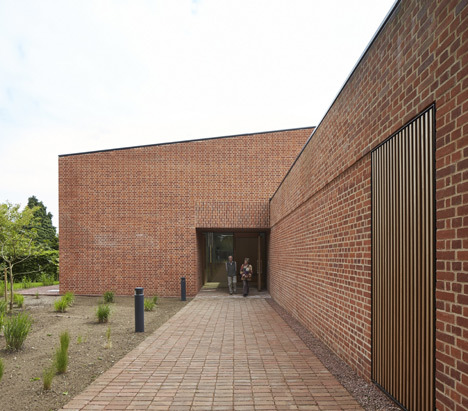 The Britten Pears Archive, Stanton Williams’ new passive archive building for the Britten–Pears Foundation (BPF), houses the extensive collection of music manuscripts, letters, photographs and recordings of the composer Benjamin Britten and tenor Peter Pears. 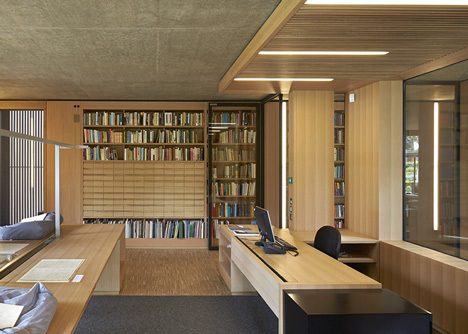 Originally assembled by Britten and Pears as a working library of their own collections of books, manuscripts and printed scores and recordings, the archive has now grown into one of the country’s most important centres for music research and scholarship. 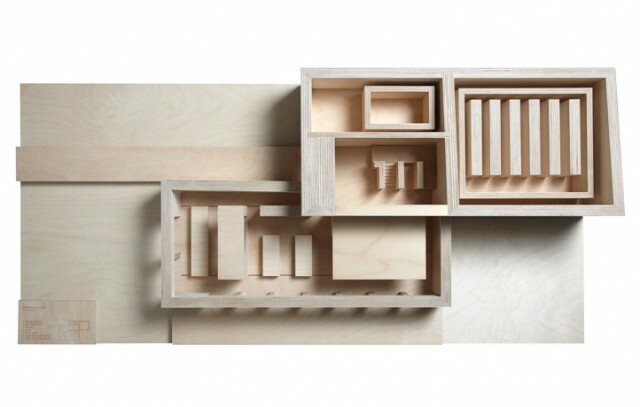 In 2005 the collection was officially given Designated status in recognition of its significance. 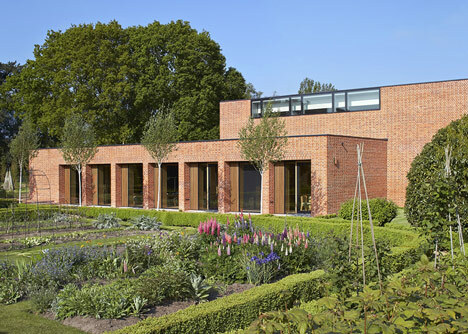 The archive building complements the site of The Red House in Aldeburgh, Suffolk, the Grade II listed former home of Britten and his partner Pears and has been completed in time for Britten’s Centenary celebrations at the Aldeburgh music festival in June 2013. 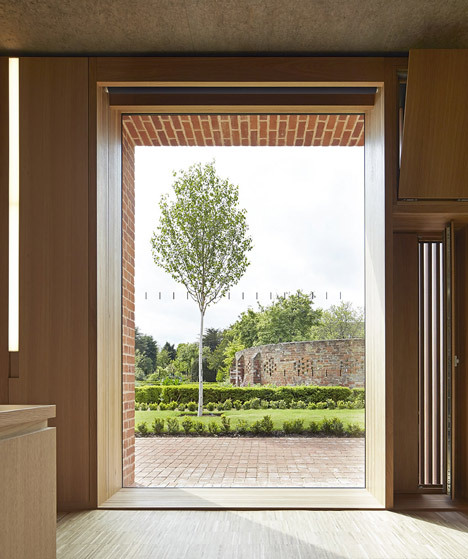 Stanton Williams’ design roots the building firmly in its context and is appropriate to the listed house and garden, providing optimum environmental conditions for preservation of the significant collection through pioneering low-energy means, achieving a passive archive environment. The building is expressed as two interlocking forms, reflecting the internal functions. 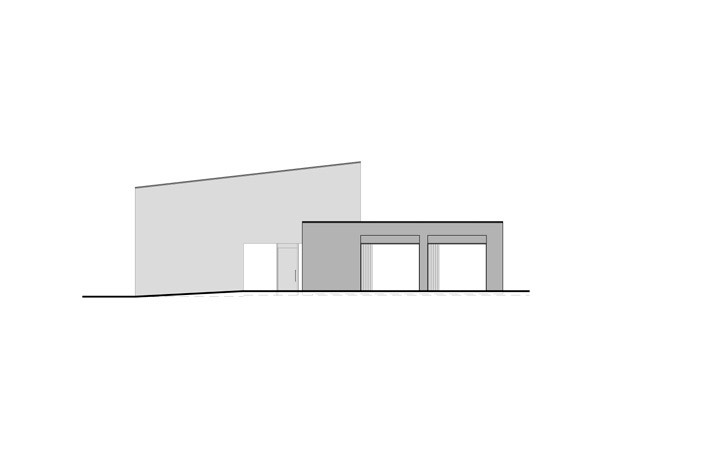 The concept is that of an ‘egg in a box’: thick, well insulated walls enclose the main storage room, surrounded by a buffer space which helps moderate the temperature and relative humidity between the outside environment and the material within. 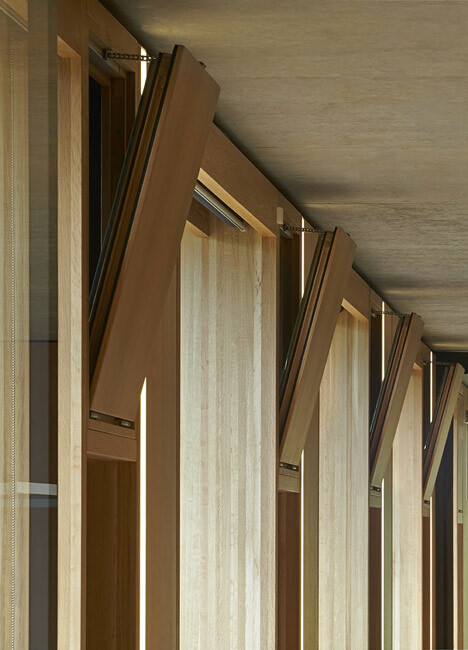 The volume to the north contains the staff offices, support spaces and a study room, with generous windows on the west and north façades allowing views out to The Red House gardens, giving a sense of connection with the site. 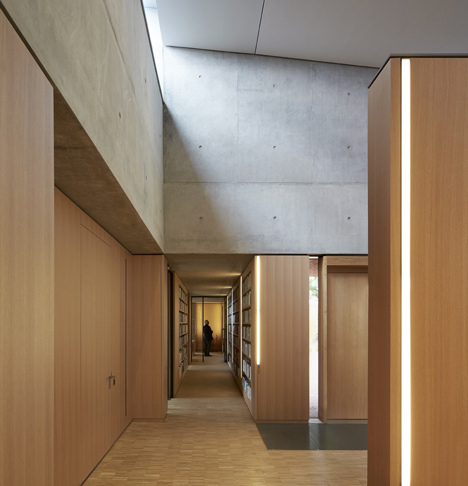 The southern volume houses the archive collection, raised from the ground to protect it from flood risk. 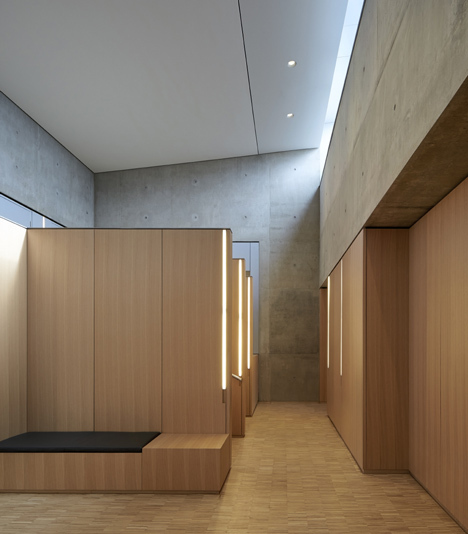 This functional and efficient concept is based on a tradition of building treasure houses, granary stores and shrines and gives form to the ‘precious’ nature of the collection. 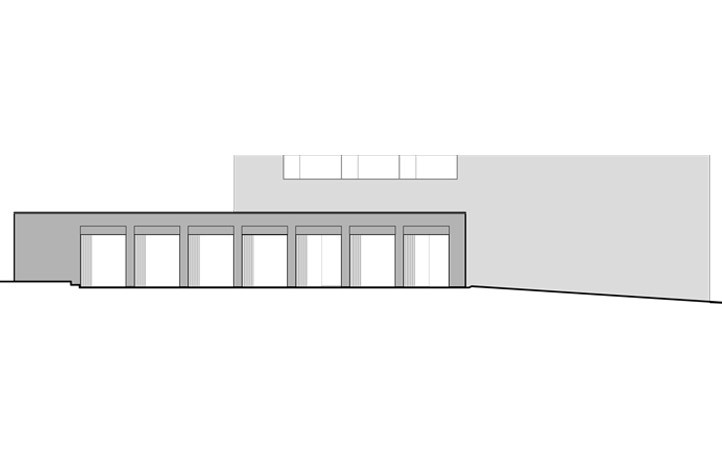 The outer building walls are constructed entirely from solid brick. 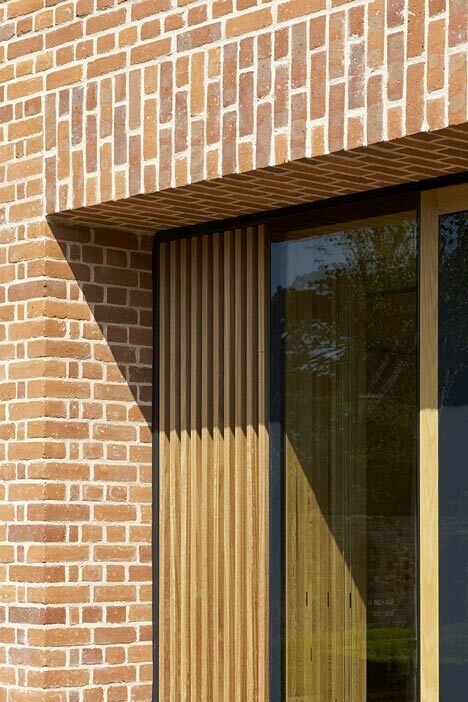 The bricks connect the building visually with the rest of the site and provides thermal mass to help moderate the conditions within the building. 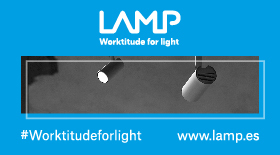 This is essential for passive control ensuring low-energy and high environmental standards for the building. 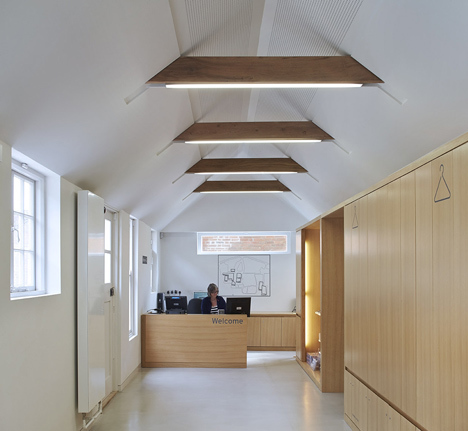 A green sedum roof on staff areas helps blend the building with the landscape, encouraging biodiversity. 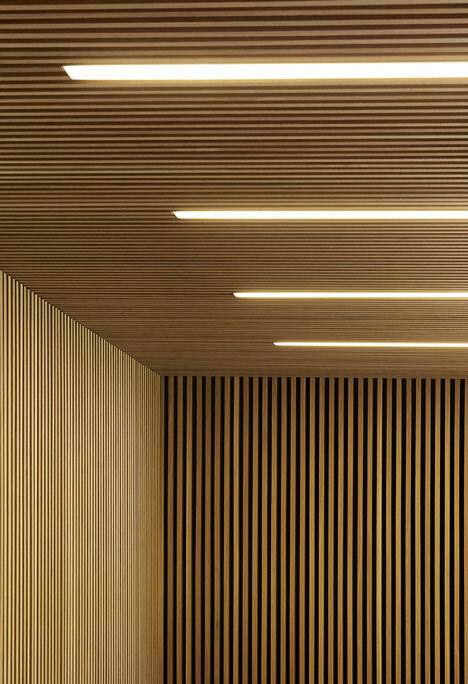 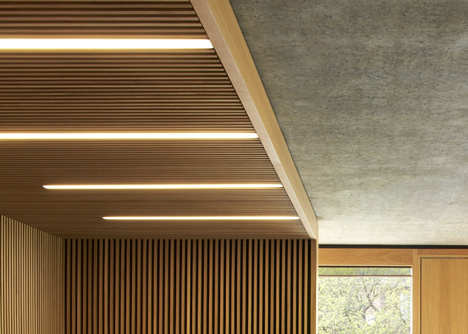 Internally, the materials are limited to fairfaced concrete soffits and columns (providing thermal mass and cooling) and timber wall linings, floors and windows to provide warmth and texture. 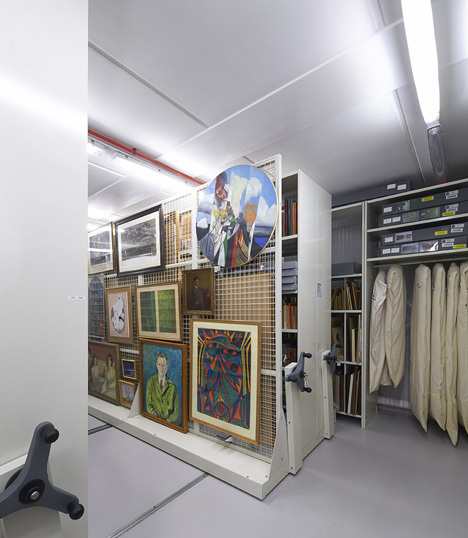 The new archive brings together this internationally important collection in one central place for the first time in the very place where Britten created his music, improving staff workspace, access and security. 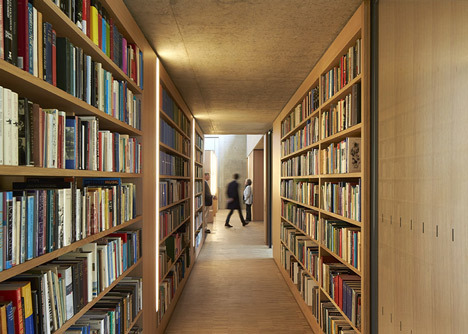 Re-housing the archive created opportunities to free up space within the existing buildings on the site, most importantly, the composition studio in which Britten worked from 1958 to 1970, and where masterpieces such as War Requiem were written, has been re-created for visitors to experience.